Commission by independent author Jan ten Sythoff to illustrate two of his children’s short stories. 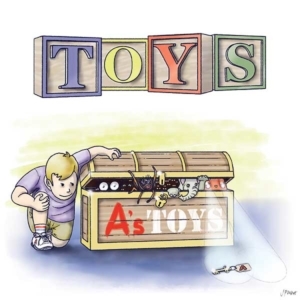 Toys is about a boy who discovers his toys come to life when humans are not around and Meatballs is about a boy who makes friends with an alien. Four print-ready illustrations and a cover for each of the two stories. We used watercolour-style visuals inspired by the golden age of illustration which tied in well with the timeless nature of the stories.